Pave diamonds add texture and light to the elegantly fluid white gold design of this Roberto Coin necklace. 18-karat white, rose, or yellow gold. 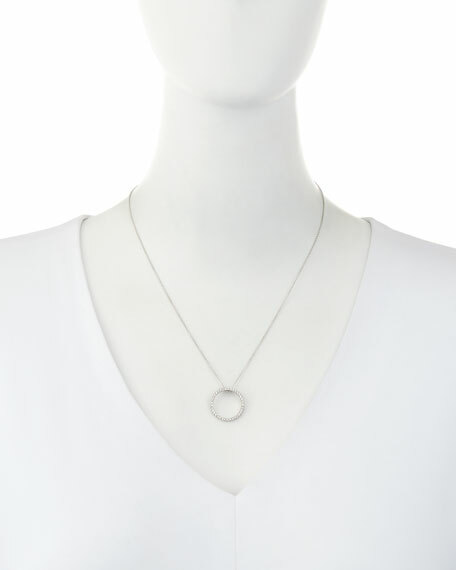 Circle pendant with pave diamonds, 0.26 total carat weight.